You might want to see another GP or specialist to get a second opinion about your diagnosis or treatment. Find out about getting a second opinion. 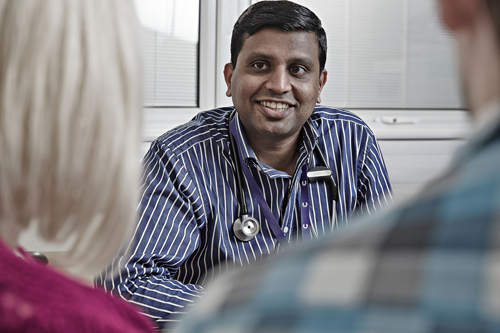 A second opinion means seeing another GP or specialist doctor for their view on your diagnosis or treatment. This usually means going to a different hospital or GP surgery. You don’t have a legal right to a second opinion. But doctors rarely refuse to arrange one for you. It can take some time to arrange a second opinion. You won't be a priority because you have already seen a doctor or specialist. It's important to talk to your doctor about how long any delay is likely to be, and whether a delay in starting treatment would be harmful. If possible, try not to cancel any tests or treatments booked by your original doctor. This might reduce the delay if you choose to continue to see the first doctor. Some people worry about offending or upsetting their doctor by asking to see someone else. This is unlikely to happen. Doctors themselves often ask their colleagues about cases that are complicated or unusual. Before you ask for another opinion, think carefully about exactly why you want one. This can avoid wasting time and effort (and possibly money if you see another doctor privately). If you didn't take it all in first time round, it might help to ask your original doctor to go over things with you again. Don’t feel embarrassed about not understanding or needing information to be repeated. Doctors know how difficult it is to take in complicated medical information, especially if you are feeling shocked and upset. If you have read up on your condition since you were first diagnosed, this could have raised questions or concerns. You might just need to talk through your treatment options with your specialist again. This will give you the chance to ask any questions that have come up since your first appointment. You might hear about other possible treatments from other people with cancer at the hospital, or at a local support group. There is also often information about new treatments in the news. These treatments are often described as being better than other treatments. You might wonder why your doctor hasn't offered you that treatment. This might make you feel less confident about the treatment you are going to have. Talk to your doctor or specialist nurse if you feel like this. You can ask them why you have been offered a particular treatment and whether there are any other options for you. They can explain to you why a particular treatment is best for you. If you are still unsure about your treatment after you have spoken to them, you could then ask your doctor to refer you for a second opinion. It can be difficult if you don’t feel comfortable talking to your doctor. It is important for you to have confidence in them and feel able to voice any concerns you have. This can help build trust and confidence in your relationship. If you don't feel like this, try talking to another doctor in the consultant’s team, such as the registrar. Or, if there is a specialist nurse in the team, you may find it helps to talk to them. They may be able to sort out any misunderstandings. If necessary, they might offer to talk to the doctor about your concerns. It can be useful to talk to your doctor and nurse together. Talk to your specialist doctor or GP if you decide to see another doctor. They can refer you to an NHS doctor who specialises in treating your condition. Or you could pay for a second opinion from a private doctor. Your relatives can also ask for a second opinion, but you need to give consent for them to do this. Having a second opinion doesn’t necessarily mean that the second doctor will take over your care. If you decide you want the new doctor to treat you, they have to agree and this has to be formally arranged between the doctors or hospitals. If you want to see a different GP, and are in a group GP practice, you can ask for an appointment with one of the other doctors. You can also ask your GP to refer you to a different doctor. Some people may consider changing their GP or GP practice. This is only possible if another local GP practice is able to take you on. You can contact the patient advice and liaison service (PALS) if you are having difficulty getting referred for a second opinion. They can offer advice. Your local citizen advice service (CAB) might also be able to help.